Bonita Springs is a beautiful area located just north of Naples, which has become an extremely popular destination for tourists as well as individuals looking to enjoy the outstanding south Florida lifestyle. In Bonita Springs you will find a wealth of real estate options that range from charming homes, cottages and condos lining the beach to luxurious and expansive golf course communities. The Bonita Springs lifestyle is characterized by sun, sand, ocean, luxury, relaxation, recreation, fun, beauty and so much more. Whether you are visiting for a weekend, a month or permanently relocating to Bonita Springs you are sure to fall in love with the stunning natural beauty and all the wonderful Bonita Springs amenities available to you and your family. Bonita Springs is an outstanding community where you can enjoy white sand beaches and the finest outdoor lifestyle. Bonita Springs is right on the Gulf of Mexico where the water is clear and warm and perfectly accessible to all visitors and residents. The Bonita Springs beaches have been named as top ten destination beaches multiple times by various prominent sources. One of the top beaches in Bonita Springs is the Bonita Bay Beach Park, which is a two and a half acre beachfront park that features a clean boardwalk and pristine swimming area. The beach is quiet and private, which allows visitors to enjoy an outstanding beach experience. Another popular beach is the Barefoot Beach Preserve Park, which was ranked as the sixth best beach park in the United States in 2013. Bonita Springs also offers an off-leash dog beach where you can take your furry friends for a pleasant afternoon walk. There is no shortage of things to do and sights to see in Bonita Springs. The list of activities and recreation in Bonita Springs widely ranges and there are various activities available for individuals of all ages and interests. Some of the most popular activities in Bonita Springs include boating, swimming, fishing, golfing, tennis and biking. There are also multiple scenic trails and paths to walk, hike and enjoy around the area. While there are many outstanding neighborhoods in Bonita Springs, some of the finest and most luxurious real estate options are located within award-winning golf course communities. One of the most prominent communities is the legendary Bonita Bay Community where you will also find the famous Bonita Bay Club. The Bonita Bay Club is homes to five championship golf courses, 18 tennis courts, two clubhouses and a 10,000-square foot fitness center and spa. Within these master planned communities you will find outstanding amenities that rival those of a five star resort. 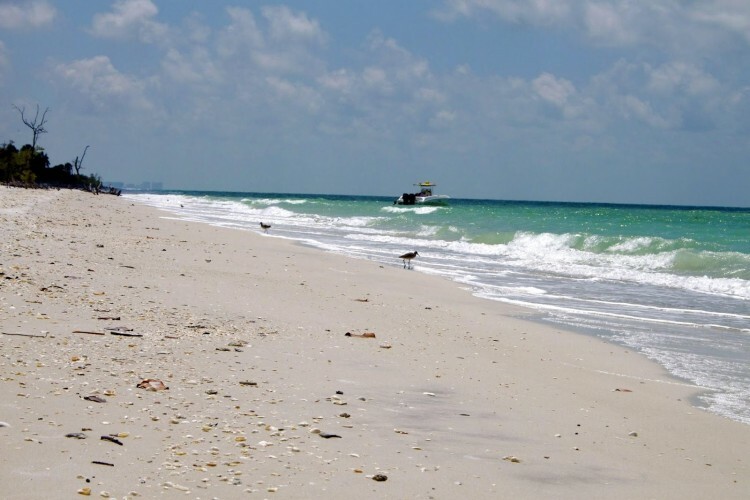 While a day out on the beach is one of the best ways to spend your time there are also various other amenities available to you in Bonita Springs. The shopping and dining is truly out of this world! Whether you are looking for a high-end steakhouse, freshly caught seafood or a delicious Italian meal you are sure to be impressed by the delicious epicurean creations and fine Bonita Springs restaurants. If you are in need of some retail therapy you won’t need to stray far to find outstanding outdoor malls that are beautifully designed and home to some of the finest nationally recognized luxury brands and designers. Some of the top shopping destinations in Bonita Springs include the Coconut Point mall, the Miromar Outlets, the Mercato Shops, the Waterside Shops and The Promenade. While Bonita Springs offers a wealth of real estate options and outstanding vacation rentals to interested buyers there are also multiple luxury hotels available to those who are visiting for a short period of time. If you are thinking about visiting and experiencing all that the area has to offer, consider looking into the top Bonita Springs hotels available to you in the area. Some of the finest hotel establishments in the area include the Bonita Bay Trianon, the Hyatt-Regency Coconut Point Resort & Spa, The Ritz Carlton in Naples and the Inn at Pelican Bay. The Bonita Springs community is truly designed with people in mind and is meant to meet the needs and wants of residents and visitors alike. The Bonita Springs amenities, communities and attractions have easily set the standard for the Florida community lifestyle, which is why so many individuals are interested in the Bonita Springs real estate options. If you would like to learn more about Bonita Springs, the local amenities and the local lifestyle make sure to connect with Dan Humbert and Alberto Quiceno for professional and expert guidance. Dan and Alberto offer professional real estate services and they can help you find your dream home in Bonita Springs. Come for a visit – you will want to stay a lifetime.